25 rounds Winchester® Super-X® Heavy Game Field Shotshells. Hits quick-flying game birds hard and fast! 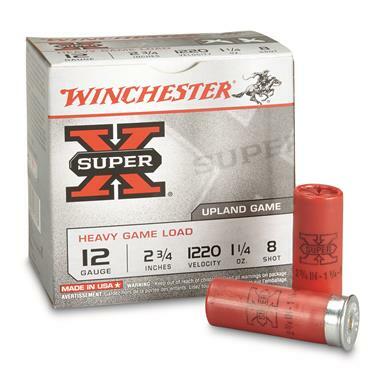 Winchester, 12 Gauge 2 3/4 1 1/4 oz., Super-X Heavy Game Field Shotshells, 25 Rounds is rated 4.2 out of 5 by 5.